Key projects include the modernization of tourist airports such as Mexico City, Cancun, Guadalajara, Puerto Vallarta, Los Cabos and Monterrey, and the cruise ship terminals in Puerto Vallarta and Mazatlan. Puerto Vallarta, Jalisco, Mexico - At this year's Tianguis Turistico, Mexican President Enrique Peña Nieto announced plans to invest over $1 billion pesos in Puerto Vallarta's tourism infrastructure between 2014-2018 as part of the National Infrastructure Program. Puerto Vallarta was just one of the destinations featured in the President's speech at Mexico's Premiere Travel and Tourism conference, which was held in Cancun from May 6-9, 2014. The plan is to spend the fresh cash on, first and foremost, improving infrastructure to boost the competitiveness of the country's tourism sector through upgrades to airports, roads, and cruise ship terminals. Key projects will include the modernization of tourist airports such as Mexico City, Cancun, Guadalajara, Los Cabos, Monterrey and Puerto Vallarta, as well as the modernization of key cruise ship terminals in Mazatlan and Puerto Vallarta. 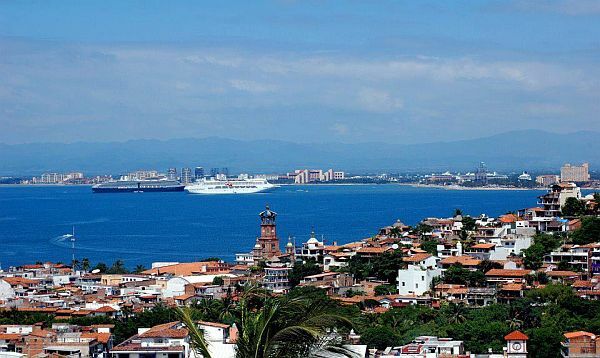 According to the city's official website, VisitPuertoVallarta.com, similar amounts have been budgeted for Puerto Vallarta's new marina terminal and the restoration and preservation of the city's center, known as El Centro or El Centro Historica. The program also includes an investment of six million pesos to address eroding beaches in Puerto Vallarta, and three million to clean up and rehabilitate public spaces and popular tourist areas, including the Malecón, the historic downtown area, and beach entryways. In addition, as part of the Federal Government's Communication and Transportation initiatives, $68 million pesos will also be invested to expand the Puerto Vallarta International Airport (PVR) with new terminals and a satellite structure.